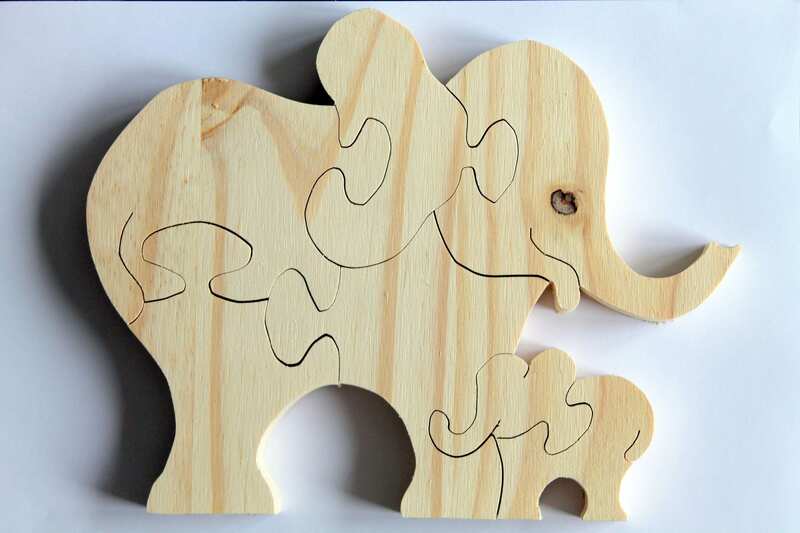 the elephant and her cub: puzzle pin composed of 7 pieces. 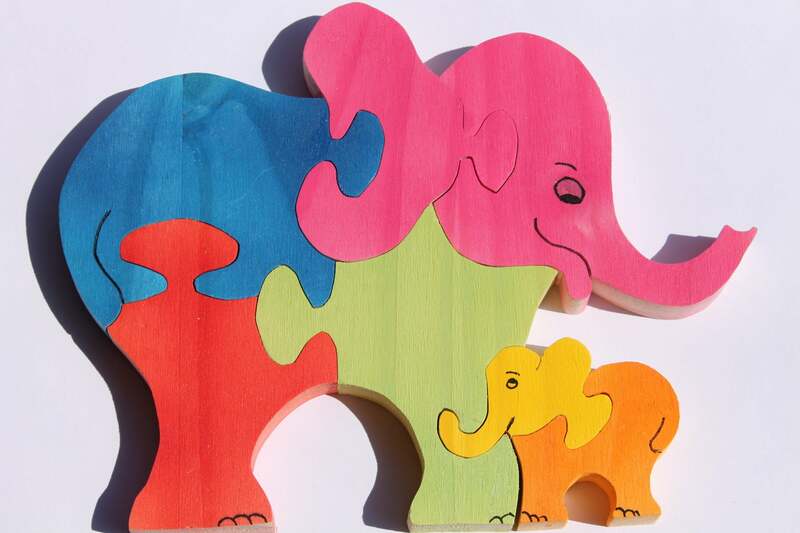 This puzzle helps children work on different parts the elephant and her cub. This puzzle helps toddlers learn to focus to embed items. Gross can be painted by you or your children gouache or felt. The colors are customizable, painted 3 en71 standards for toys.